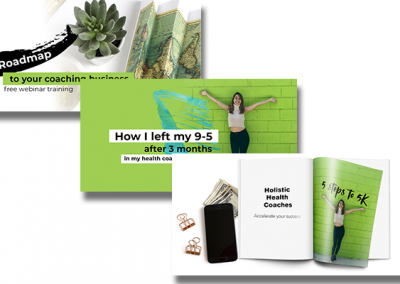 Malorie & I met in a Facebook group – she was looking for someone to help her launch the next phase of her online program, build her website and blog and help her build her presence on Pinterest. 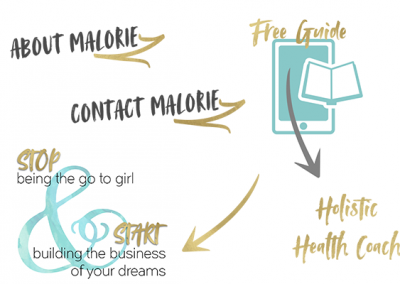 In the beginning, I don’t think either of us knew how things would go and exactly what my role would be but we quickly came up with a work flow and I knew exactly how I could support the needs of Malorie’s business. Malorie already had a logo and brand colors but she wanted to add some other elements and fonts into the mix. 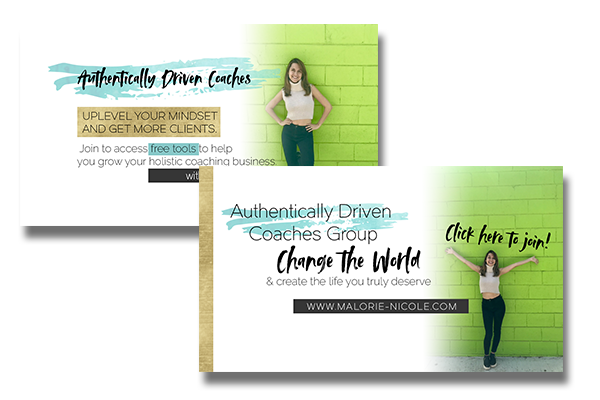 I quickly whipped up a new WordPress site for Malorie, started building her Pinterest profile, and helped Malorie learn how to create Pinterest(and Google!) friendly blog posts. 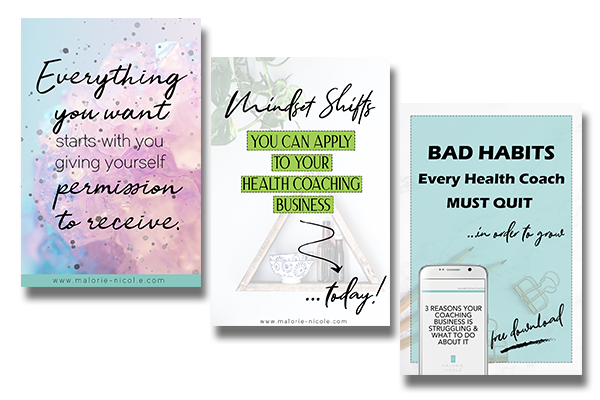 I was available to create whatever graphics Malorie required for her business including Facebook ads, Facebook covers, pinnable images, Ebook design and more. 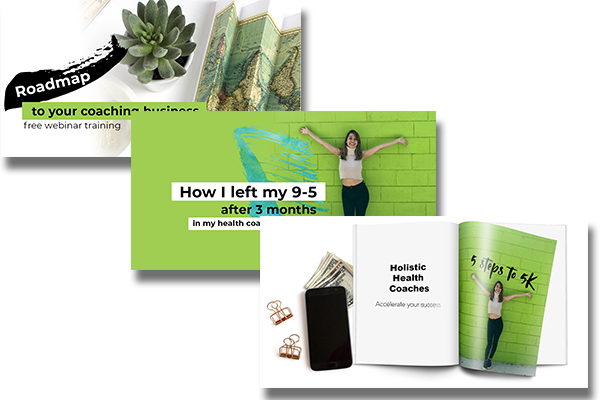 Having Heather help me in my business was one of the best decisions I’ve made, and I will definitely be back for more. 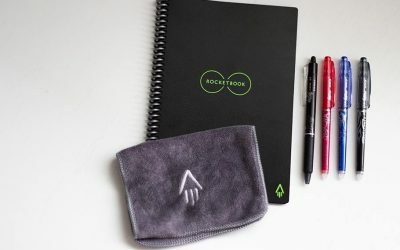 She was able to perfectly create a brand around what I had been envisioning for quite some time. 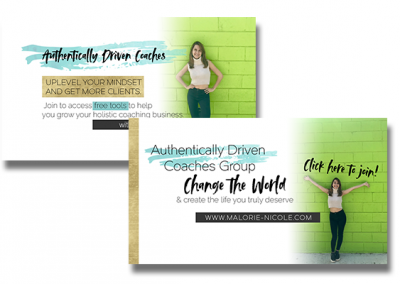 From my website to helping me massively grow my Pinterest page the all in betweens were beyond what I could have expected. She was punctual, understanding, full of ideas, and implemented action. 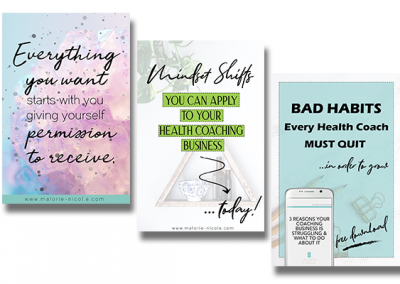 She really just wants to help you create what you want, while bringing her seriously talented gifts to the table.